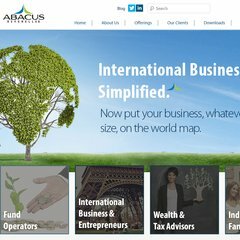 Abacus-offshore is ranked 6,877,769 in the United States. It is hosted by Inetu Inc (Pennsylvania, Allentown,) using Microsoft-IIS/7 web server. Its 2 nameservers are ns3.inetu.net, and ns4.inetu.net. It is written for ASP.NET language. PING (209.235.231.218) 56(84) bytes of data. A time of 44.5 ms, is recorded in a ping test.